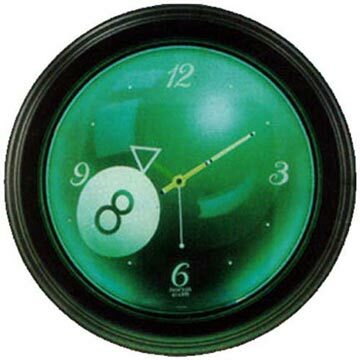 Dress up your pool room with this glowing neon eight ball clock! 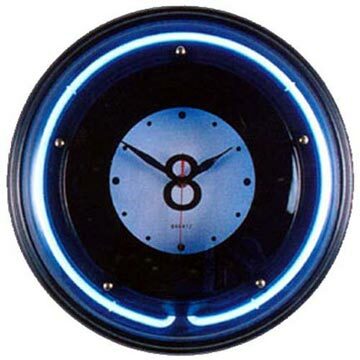 A neon light inside the frame of the clock illuminates the dial, and casts a cool glow in your game room. The clock features a quartz movement for accurate timekeeping. The hour hand is a triangle, the minute hand is a pool cue, and the second hand is a cue ball. It measures over 12" in diameter.